Plan a Warm Weather Getaway to Ellenton, Florida! Anna Maria Island & Bradenton- Visit Anna Maria Island, voted one of the “Top 30 Islands in the World” by Condé Nast Traveler in 2014, one of the “Top 10 Island Beaches for Perfect Sand” by Condé Nast Traveler in 2015 and also the “Top Family Vacation” spot in all of the US. Anna Maria Island is a 7 mile strip of land with sugar-white sand beaches and emerald Gulf waters. It also is a quaint business district where you can fish off of City Pier, enjoy local fresh dining, shopping, kayaking, performing arts, and more. Make sure to visit Bradenton Beach when on the island. Bradenton Convention Center – A multipurpose arena that hosts banquets, trade shows, sporting events, concerts and more! See the calendar of events here. Greens of Manatee Golf Course- Spend the day golfing at the beautiful, par 61, 18-hole course at Greens of Manatee. Ellenton Premium Outlet Mall – The Ellenton Premium Outlet Mall offers 130 designer and brand outlet stores that provide great deals. The outdoor outlet mall is set on a beautiful, tropical landscape. For a list of other shopping locations, click here. Sarasota Jungle Gardens – Home to more than 150 native and exotic animals in a tropical landscape with jungle trails. See parrots and macaws, dozens of snakes, iguanas, alligators, pink flamingos and more. Big Cat Habitat & Gulf Coast Sanctuary – Houses over 100 animals to see and interact with including tigers, ligers, lions, bears, birds, tortoises and more! Gamble Plantation Historic State Park – Take a guided tour of this 19th century antebellum mansion, headquarters of an extensive sugar plantation. Gamble Plantation Historic State Park is the only surviving plantation house in South Florida. Marie Selby Botanical Gardens – An urban, bay-front oasis showcasing rare and beautiful tropical plants. Mote Marine Laboratory & Aquarium – Experience a variety of marine animals and fish, including two touch tanks and a 135,000 gallon shark habitat, manatees and sea turtles. You can also view live scientific research in viewable working laboratories. When in Ellenton, make sure to get the most out of your travel expereince by staying at a budget friendly and pet friendly Red Roof. 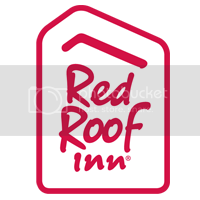 At Red Roof Inn Ellenton, enjoy spacious accommodations with every room providing free WiFi, microwave, refrigerator and a work desk. Complimentary coffeehouse style coffee & tea are offered in the lobby. Our location is conveniently located off of I-75. Select rooms include coffee maker, iron and ironing board along with a hair dryer. This hotel also features exterior corridors, free continental breakfast, lakeside outdoor pool, guest laundry and extended cable television. Sarasota-Bradenton International Airport is just 13.9 miles away. Plan an Outdoor Adventure to Van Horn, Texas!